Tyson Gay is back. 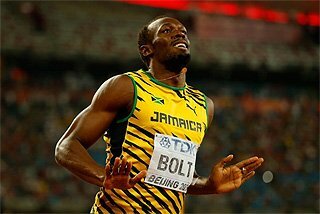 With a sensational 9.77 runaway victory in the 100m tonight, the double World champion clearly demonstrated that Usain Bolt can expect serious company when the sprint wars begin at next month’s World championships in Berlin. Gay’s was one of six 2009 world-leading performances at the 29th Golden Gala, the third stop on the six meet ÅF Golden League series, before a crowd of more than 35,000 who gathered on a perfect evening at the Stadio Olimpico. With a powerful surge beyond the midway point which he sustained through the finish, Gay easily beat back the challenge of former World record holder Asafa Powell, illustrating fully that the injuries which ultimately ruined his Olympic aspirations a year ago are a memory of the past. In just his first ‘competitive’ 100m race of the season, the 26-year-old American equaled his own national record from last year, underscoring his position as history’s third fastest man. “I feel that I’m improving,” said Gay, who clocked a wind-assisted 9.75 late last month in the first round of the U.S. championships. On Thursday, Gay said that this health is back to 100 percent, and that he gives himself a 100 percent chance of retaining his two World titles. His 19.58 dash over the half lap in New York on 30 May and his performance tonight provide strong evidence to back up that confidence. While not a match for the American tonight, Powell improved significantly with his 9.88 runner-up finish, a major improvement over his 9.97 from the Jamaican championships two weeks ago. 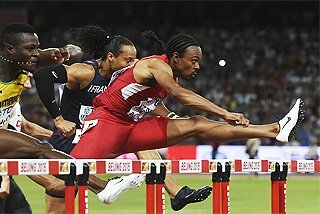 A little further back, Jamaican teenager Yohan Blake and Daniel Bailey of Antigua impressed as well. Blake took a surprise third in 9.96, his second PB of the night (he clocked 10.05 in the evening’s heats), while Bailey, clocked 9.97 for fourth, about 75 minutes after a PB 9.96 in his heat. In the evening’s other full force match-up, the women’s 100m, $1 million ÅF Jackpot contender Kerron Stewart faced her stiffest challenge of the ÅF Golden League season tonight, and passed her test brilliantly. Running to the inside of her compatriot Olympic champion Shelly-Ann Fraser, Stewart blasted away over the final 40 metres to reach the line in 10.75, a world leader and personal best which equalled the meeting record set a decade ago. “I wanted to put everything into this race,” said Stewart, whose previous best of 10.80 came at the Jamaican championships last year. 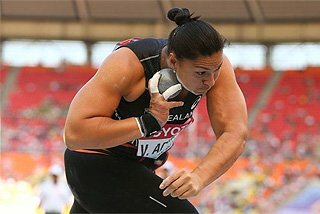 “Because I probably faced the toughest field before the world championships.” She has a point. Behind her, Fraser was a distant second in 10.91, Bahamian Chandra Sturrup third in 10.99, and current U.S. No. 1 Carmelita Jeter fourth in 11.01. The victory was certainly a confidence booster for the understated Stewart, the only women’s double sprint medallist from last year’s Olympic Games. Kenenisa Bekele was the first of the Jackpot five to stay alive, with a world leading performance in the 5000m which defied his cautious pre-race predictions. 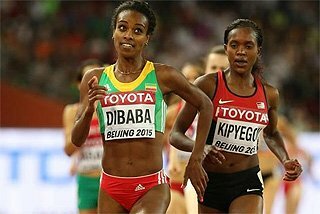 The Ethiopian double Olympic champion said yesterday that he would not be chasing a fast time, but rather just a third Golden League series victory. By most measures except his own, he succeeded on both accounts. Biding his time behind the pacesetters, Bekele was never seriously threatened over the final lap, and reached the finish in a world-leading 12:56.23. For most 5000m specialists, a sub-13 minute performance would certainly be considered fast; for Bekele, this one doesn’t even crack his personal top-10. The next five across the line dipped under 13 minutes, all with personal bests. 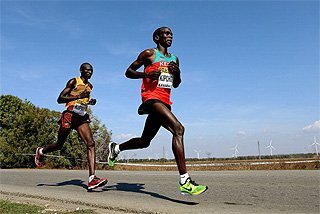 Mark Kiptoo (12:57.62) passed his Kenyan compatriot Leonard Komon (12:58.24) with about 50 metres remaining to finish second. Lucas Rotich, just a few months beyond his 19th birthday, was fourth in 12:58.70. Yelena Isinbayeva didn’t produce a rerun of her world record antics here a year ago, but she was still, quite predictably, the dominant winner tonight. 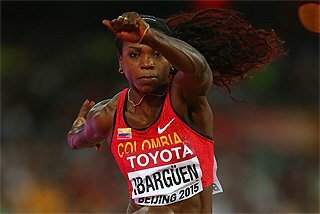 Her opening height of 4.75m, which she cleared with her first attempt, would have sufficed for the victory, but she went on to clear 4.85m with her second attempt to end the night raising her world lead by two centimetres. She forged on, but none of her attempts at 4.95m were particularly close. Her Russian compatriots Yuliya Golubchikova, the European indoor champion, and Svetlana Feofanova, the Olympic bronze medallist, topped out at 4.70m to equal their season’s bests, finishing second and third respectively. Like Isinbayeva, Sanya Richards faced little resistance to speak of in the 400m after the American record holder cruised unchallenged to a 49.46 victory, her second fastest run of the year, and of course, the second fastest in the world this season. “I hoped to run 49.2 today,” said Richards, who sped to a 49.23 victory in Oslo a week ago, “but 49.4 is good today.” With her run, she broke her tie with World record holder Marita Koch for the most career sub-50 performances. She now has 36. No one else in the field could manage the feat, with Jamaican Shericka Williams a distant second in 50.31. 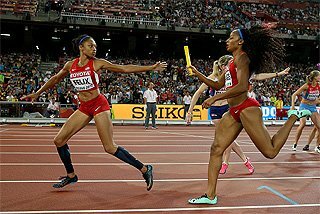 World 200m champion Allyson Felix was well back in fifth, clocking 50.94. The lone Jackpot contender to fall in Rome was Tero Pitkämäki, the World champion in the Javelin Throw, thanks to Andreas Thorkildsen’s final round 87.46m throw. The Norwegian’s effort brought some life into the somewhat sub-par competition, which was controlled by the Finn’s 83.68m from the first round. “I always want something more, but I’m happy,” said Thorkildsen, the two-time reigning Olympic champion. Germany’ Mark Frank was a distant third with an 82.75m best, also from the final round. 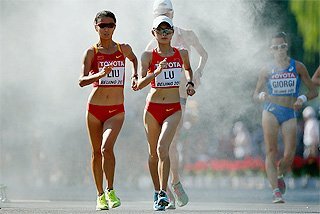 The high intensity of the evening began early with a powerful run by reigning World champion Maryam Jamal in the 1500m. Running first behind the pacesetter in the early stages, the Bahraini helped keep the pace honest early on, ultimately breaking any challenge that might transpire. Russian Oksana Zbrozhek tried valiantly over the final lap, but couldn’t respond when Jamal broke away with about 150 metres to go. Her 3:56.55 was Jamal’s second fastest performance ever, and the evening’s first world leader. “I expected to run this time,” said Jamal, who was outkicked by Gelete Burka in Lausanne on Tuesday. “Running under four minutes was my goal tonight.” Jamal races next in Athens on Monday. 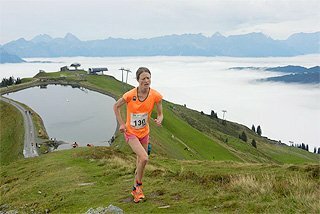 American Christin Wurth-Thomas continued her notable rise. Reeling in Zbrozhek down the homestretch, Wurth-Thomas knocked nearly two seconds from her career best, clocking 3:59.98 to finish second, with the Russian holding on for third in 4:01.48. Slovenia’s Sonja Roman was fourth, her 4:02.13 a national record, and a career best by more than four seconds. As expected, 3000m Steeplechase World record holder Gulnara Samitova-Galkina dominated her specialty, running away with the win in 9:11.58. In her season’s debut, reigning World champion Yekaterina Volkova was second in 9:17.40, holding off Kenyan Ruth Bisibori, the Oslo winner, who clocked a season’s best 9:17.85. The Croatian star was second but topped out at 1.97m, marking the first time she’s failed to clear two metres outdoors since a rain swept meeting at home in Zagreb on 4 July 2007. American Chaunte Howard also cleared 1.97m, to take third on countback. There was nearly a second Italian victory 25 minutes later in the 800m where Elisa Cusma came up short by the slightest of margins. Running near the front throughout, the Italian appeared to be out of the hunt with 200 metres remaining, but fighting on valiantly and urged on by the crowd, the petite Cusma made her move for the win on the inside, taking the lead midway through the homestretch. While managing to hold off the closing charge of Spaniard Mayte Martinez, she didn’t see the quick-closing American Maggie Vessey, who outleaned her on the outside by just 0.01 with a PB 2:00.13. In a blanket finish, Martinez was third in 2:00.21, also a season’s best. While the competition didn’t quite live up to the pre-meet hype, world leader Dwight Phillips lived up to his man-to-beat status. The two-time World and 2004 Olympic champion continued his return to the top of his event with another strong showing, this time reaching 8.61m with his first leap, eventually beating his World and Olympic successor Irving Saladino by a massive 34 centimetres. 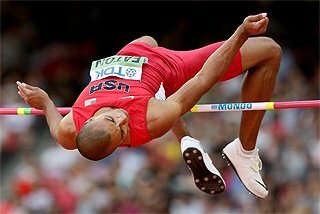 For Phillips, it was the second best jump of his career. 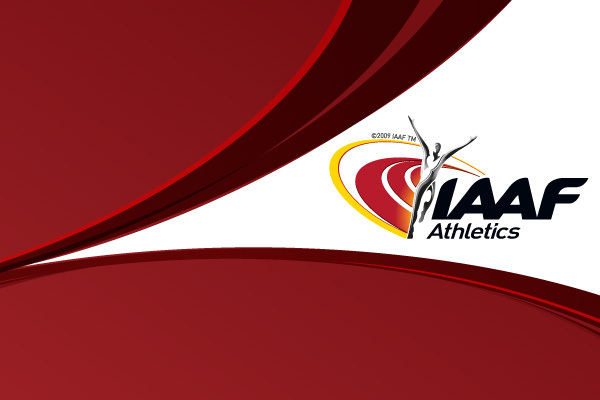 Australian Fabrice Lapierre was third with an 8.22m best, with Greek Louis Tsatoumas fourth (8.19m). With four races on the schedule, the Rome programme was a delight for hurdles fans. Most results followed conventional wisdom, but one did not. It didn’t take Olympic 100m Hurdles champion long to put her disappointing Lausanne race on Tuesday night, where she finished a distant sixth, behind her. In the lead by hurdle three, the American built onto her lead between each of the next six barriers before cruising through the finish in 12.55, just two ticks shy of her season’s best. “This win means a lot because I’m still sluggish after the US championships,” said Harper, who collected her fourth victory of the season. Delloreen Ennis-London, who had a strong mid-race, was second in 12.67, just 0.01 ahead of compatriot Brigitte Foster-Hylton. Former World champion Perdita Felicien of Canada improved her season’s best to 12.70, finishing fourth. In the men’s race, World record holder Dayron Robles took command by the fifth hurdle en route to a 13.17 win, to remain undefeated in five races this year. American Antwon Hicks closed fast on the outside to take second in 13.27, edging compatriot Dexter Faulk (13.30), whose early lead fizzled midway. Over the full lap, World champion Kerron Clement beat back the challenge by rising Jamaican star Isa Phillips, but it was close, 48.09 to 48.11. Clement made up the stagger on the field my midway and carried a strong lead to final straight. But some stutter-stepping as he approached the final hurdle allowed Phillips to make up some ground, but it was too little, too late. South African L.J.van Zyl was third with a 48.37 season’s best. In the women’s race, it was Pole Anna Jesien (54.31) who prevailed in the home stretch to produce an upset win over American Sheena Tosta (54.57) and Olympic champion Melaine Walker (54.58). 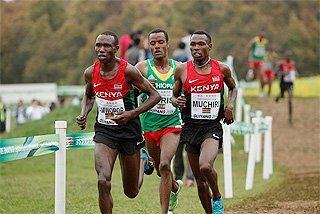 The men’s 1500m provided a mini-preview of the upcoming Kenyan championships, with Olympic silver medallist Asbel Kiprop prevailing in 3:31.20, a career-best for the miler who continues to show experience beyond his 20 years. Carrying a clear lead through the bell, he managed to hold off the closing charge of Moroccan Amine Lalou (3:31.56) and freshly-minted world junior mile record holder William Tanui (3:31.70), who also registered a career best. “It was important to repeat my victory in Rome,” said Kiprop, whose previous best of 3:31.64 was set here last year. 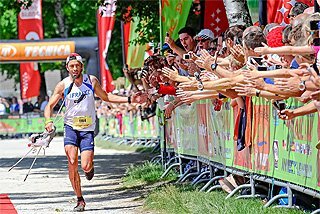 In the blanket finish, Spaniard Juan Carlos Higuero was fifth in 3:32.59, a 2009 European lead. The men’s 800m brought another clear Kenyan victory, this time by the diminutive World champion Alfred Kirwa Yego, who comfortably held off Saudi record holder Mohammed Al-Salhi, 1:45.23 to 1:45.61. Elsewhere, Chris Brown looked in control of the men’s 400m as he entered the final straight, but three lanes to the outside Irishman David Gillick was closing in very fast. The Bahamian fended off the challenge and won on the lean at the line in 44.81, a season’s best, prevailing over Gillick by a scant 0.01. Gillick was just shy of the 44.77 national record he set in Madrid last weekend. Renny Quow closed the gap significantly over the final 150 and finished third in 45.02.